9mobile subscribers today we're going to see how to improve your network speed, as it seems most of us to complain of the slow network even tough the network bar is full in some areas. We've discovered the best VPN to improve your network in this simple DIY Guide, Interestingly, it works for all phones including 4G/LTE Phones. IS IT NECESSARY TO CONFIGURE 9MOBILE INTERNET ON ANDROID? 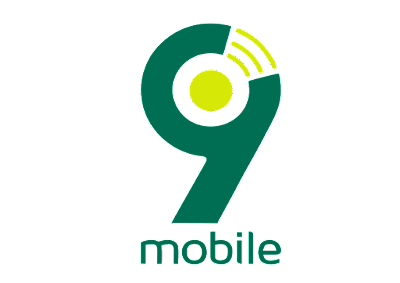 9mobile is one of the most popular providers of telecommunication services in Nigeria. It embraces more than a half of the population with the services it renders. It gives a very high quality of the connection and a very high speed of the Internet. This is why it’s not a surprise that many Nigerians choose this provider. However, if you purchase a new phone, it’s possible that it’s not tuned in the right way to work with 9mobile and provide you with effective voice calls, text messages, and the Internet. It can be any operating system: Android, iOS, Symbian, etc. This is why it’s necessary to set the APN manually or automatically to enjoy all the 9mobile opportunities and options. Just keep on reading and you will find a lot of useful information for you. HOW TO GET 9MOBILE APN SETTINGS FROM THE PROVIDER? It’s set by default that once you insert your current SIM card (or a new Nigerian 9mobile SIM card) into your phone, the provider detects a new device and sends you a special message that is able to configure your device automatically. However, this is not always a rule and sometimes it simply may not happen. In this case, you need to request the settings on your own. To do this, you simply need to open your text messages and send “settings” to the short number 790. When this is done, you need to wait for a couple of moments. The message with the necessary settings will soon arrive. When it’s here already, everything you need to do is open it and save the settings that come with it. This done, you should press “Activate” and here you are. Now, your device is supposedly configured to surf the Web, download and upload a lot of stuff, namely, whatever you like, within the limitations of your data plan. However, having this message and saving all the default settings is not a warranty that you will be satisfied with everything. In such a case, you will need to configure your Android manually. HOW TO CONFIGURE INTERNET SETTINGS FOR 9MOBILE ANDROID MANUALLY? Manual configurations will most likely work in case automatic ones have no effect on some devices. In such a situation, the only thing you can do to make your device work with the Internet is to try to enter the following data manually. These settings are supposed to work for every phone, regardless of the operating system. Try them and in case they don’t work, move to the tips that will be described below. So, the default manual settings look like this. The most important information in these settings is in the first two lines. The rest can be freely left bank. Even the proxy and port can be left empty because it doesn’t actually matter for the provider whether you fill them in or not. If this process doesn’t work for your phone, you should definitely try the following scheme. It’s designed especially for Android devices and in case it doesn’t work, you will need to turn to a service centre. You will see that there are many other lines and fields in this menu but you don’t need to enter any data there. What’s more, you shouldn’t enter anything there. Just leave them blank. The provider will complete the work for you after this stage. WHERE TO GET 9MOBILE 4G APN SETTINGS? Leave all the remaining lines blank. These are the 9mobile APN settings that are used for Android devices. if you still haven’t tried any of them, start with automatic settings. They work faster and you can save a lot of time for yourself. Only in case they don’t work for your device, move to the manual procedure. GOOD LUCK while Setting up your APN, for any difficulties, Kindly Drop Comments & Share the information with your friends.